Do Good Banjos Need to Be Heavy? 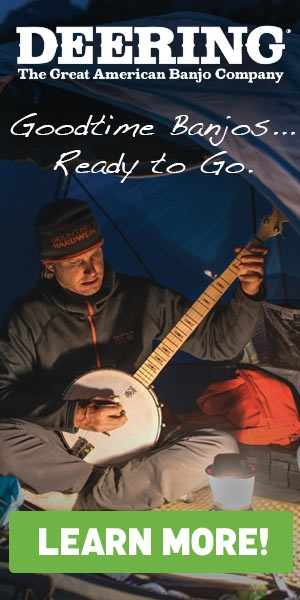 Beginning and intermediate banjo players who are shopping for their first professional level banjo often ask the question, “do good banjos need to be heavy?” The answer lies in understanding what the parts of the banjo do to create the tone or the voice of the banjo. Contrary to popular belief, the resonator of the banjo, while adding a pound or two to a banjo is not the primary source of the weight that creates these questions. The tone of a musical instrument is created by a combination of ingredients. The resulting weight of any instrument is not from a desire to make something heavy but to use ingredients that create a specific tone or voice for an instrument. This is true of violins, guitars, banjos and every other instrument. Bell bronze cast tone rings, like Deering’s -06- tone ring, are designed to pronounce, increase and enhance midrange frequencies which tend to give a banjo a “punchy” or strong midrange sound. 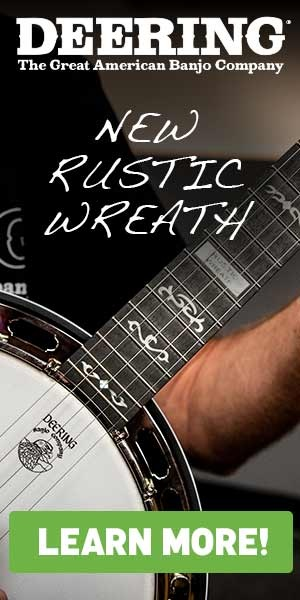 This pronounced midrange helps the banjo “cut through” or be heard above other instruments. Lighter and more hollow brass tone rings like the Vega tubaphone or Vega Senator tone rings have softer more subdued midrange frequencies but have good low frequencies and reasonably good high frequencies which makes them sound rounder or fuller. These have been used by folk singers, plectrum banjo players and some jazz players as solo instruments because their depth enhances a singer’s voice. However, just because a tone ring is heavy, it does not automatically create the punch of the -06- tone ring. A case in point is the Deering Twenty-Ten brass tone ring that is featured on the Deering Eagle II banjos. It weighs almost the same as the -06- tone ring but because of its design it does not have the pronounced “punch” in the midrange frequencies. The midrange frequencies are flatter and the high frequencies are very strong. This unique tone comes from the alloy used and part of this comes from the shape of the tone ring. A wood tone ring, like Deering’s John Hartford model banjo has, a very flat midrange but does not have the pronounced midrange “bump” of the -06- tone ring. This gives the wood tone ring, though it is lightweight, a strong midrange without the high-frequency enhancement that comes from the brass or bronze tone ring. It doesn’t have the “brightness” of a brass or bronze tone ring but the midrange is clear and easy to record and can either stand out or blend in with other instruments beautifully. Its inherent clarity or “well defined” tone allows it to “cut through” but it does so without the brightness of a bronze or brass tone. Tone rings like the -06- or the Twenty-Ten weigh about 3 pounds, give or take a few ounces. A Vega Tubaphone tone ring like the one featured on the Vega #2 banjo is probably closer to 2 pounds. A Vega Senator tone ring or a Hartford tone ring made of wood is probably closer to 1 pound or perhaps even a pound and a quarter. The one piece cast, zinc, flange that is found on many modern banjos (like the Deering Sierra, Deluxe, Calico, GDL, etc.) weighs in the neighborhood of about 3 pounds. There are other flange styles like bracket shoes with individual platelets or light brass tubes with thin brass plates or light brass tubes with spring steel clips (like Deering’s pop on resonator attachment). The heavy one piece flange is musically inert. It is designed this way so that it does not vibrate with a sound of its own. This would interfere with the sound of the tone ring vibrations and the rim and even the neck. But since it’s attached to the banjo, it does increase the mass of the pot assembly and therefore does tend to increase the sustain of the banjo. This is in addition to providing a foundational attachment for the bracket hooks. Bracket shoes, also made of zinc alloy, are usually screwed to the rim with machine screws that are tightened from the inside of the rim. The zinc keeps them from vibrating and they are also a foundational attachment for the bracket hooks. However, they are very lightweight so their contribution to sustain is very limited. When most customers ask why good banjos are so heavy, it is virtually always in response to picking up a modern resonator banjo with a one piece zinc flange and a resonator. Since a bell bronze tone ring is about 3 pounds and a one piece flange is about 3 pounds, that’s 6 pounds just in those two parts. Legends of professional banjos weighing 25 or 50 pounds are exaggerations. A modern banjo with a bell bronze tone ring and a one piece flange usually weighs no more than 12 to 14 pounds, depending on the design of the tailpiece, the tension hope, the armrest, and the wood used in the neck, rim, and resonator. Still, 12 pounds is heavier than most acoustic guitars or violins so the contrast makes the difference seem greater than the reality. Most bluegrass banjo players prefer banjos that have a bell bronze tone ring (like the Deering -06- tone ring). So, bluegrass players have learned to recognize that a “good” banjo has a heavy tone ring and a heavy flange and weighs 12 to 14 pounds. Many jazz and Dixieland jazz players consider a “good” banjo to be built with Tubaphone tone rings and other lightweight tone rings which translate to banjos that weigh 8 to 10 pounds. Folk players like the Kingston Trio and Pete Seeger have traditionally considered longneck banjos with Tubaphone tone rings to be “good” banjos which weigh in the 8 pound range. Many claw hammer players prefer open back five string banjos with no tone ring at all: they just want the head stretched over a Maple rim. These banjos might only weigh 5 to 7 pounds and yet they are considered “good” banjos. A “good” banjo is not necessarily heavy any more than a “good” pizza crust must be thick. The tone of the banjo is determined by the choice of the tone ring, the flange design, the tailpiece design, the wood used in the rim, the neck and the resonator and one of the most important ingredients: precision craftsmanship. A great tone ring not correctly fitted, will make a very mediocre sounding banjo. A 12 pound resonator banjo with a bell bronze tone ring and a one piece zinc flange is usually, but not always, chosen by banjo players who play bluegrass music. This is often considered a “good” banjo. A 6 pound open back banjo with no tone ring and no flange is often, but not always, chosen by banjo players who play old-time “claw hammer” style banjo. I have met claw hammer players who loved playing 12 pound resonator banjos and I have met fingerpicking bluegrass players who enjoyed playing lighter weight open back banjos. If possible, choose a banjo with your ears and your hands and not with someone else’s predetermined ideas. Who among us would tell Leonardo da Vinci “put some teeth in that Mona Lisa smile”. Choose the banjo based on your ideas. You are, after all, the artist. Advances in the Goodtime Banjo: Why do they sound so good?